Volkswagen MEB-based EVs are delayed. It seems that mass-production of Volkswagen's MEB-based electric cars is likely already delayed by at least a few months, as the company now states market launch in 2020, from the previous projection of late 2019 (likely November), according to media reports. Production of the first model, Volkswagen I.D. 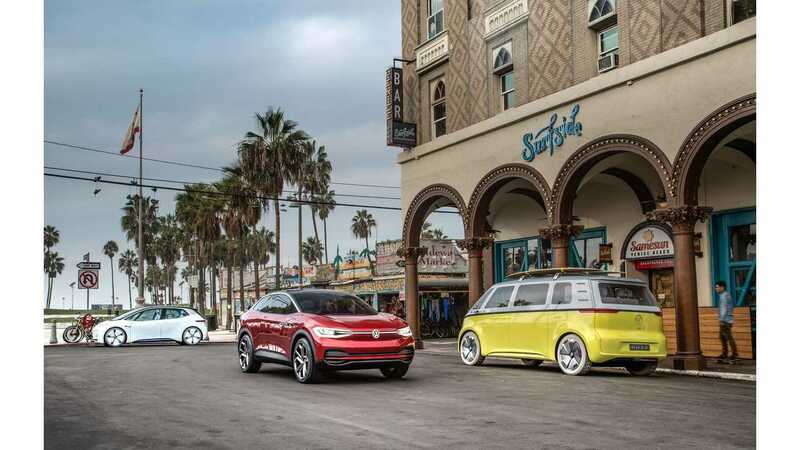 hatchback in Zwickau, Germany still is expected to hit 100,000 units in the first year, but it's now unclear whether the Volkswagen I.D. CROZZ (scheduled for 2020) will be delayed a little bit too, which would mean that market launch in the U.S. might then move to 2021, maybe. A reason for why production will not start in late 2019 wasn't provided by the automaker. "Production of the automaker’s first highly touted MEB vehicle won’t begin until 2020, rather than 2019 as originally planned. Volkswagen says it’s first new-generation battery-electric vehicle based on the upcoming MEB platform, the I.D. hatchback, won’t reach the market until 2020, rather than next year as originally planned."